Rabbi of Mantua about the middle of the sixteenth century. In opposition to the opinion of Meïr Katzenellenbogen of Padua and of others, he gave his approbation to the first edition of the Zohar, which was printed in Mantua, 1558, with the approval of the Inquisition. 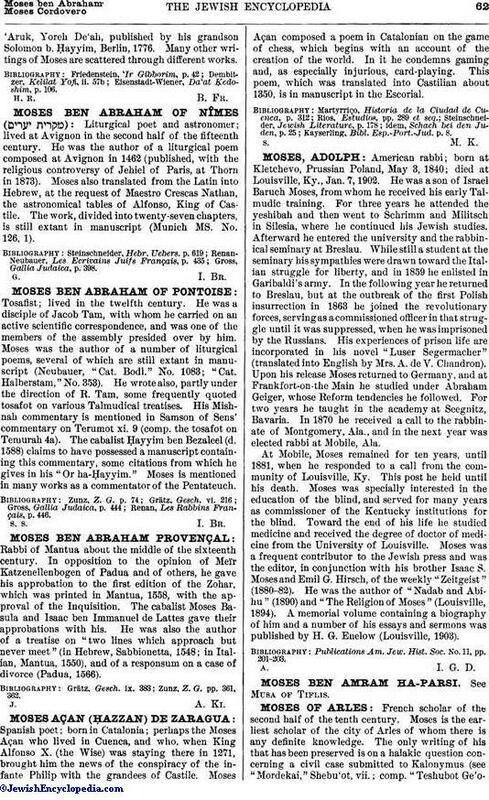 The cabalist Moses Basula and Isaac ben Immanuel de Lattes gave their approbations with his. He was also the author of a treatise on "two lines which approach but never meet" (in Hebrew, Sabbionetta, 1548; in Italian, Mantua, 1550), and of a responsum on a case of divorce (Padua, 1566). Zunz, Z. G. pp. 361, 362.